Are you unhappy with your life? Are you worried that your deeds can lead you to the bad after life? Do you think Karma is gonna get you soon? Gift your Loved ones a Gold Membership of Holy Cow Club and wash their sins too. Walk-in & Make your ancestors proud. If Sins are washed away by feeding the cow then everybody would start committing sins and feed the cow. No sins get wash away by feeding a cow or bathing in Ganga in this kalyuga. You have to face thee consequences. That is true. If one’s soul is really repenting on what bad karma he has done , still he has to face the results of it. But repenting and doing actions like feeding gives him strength to face the results and he does not feel much. 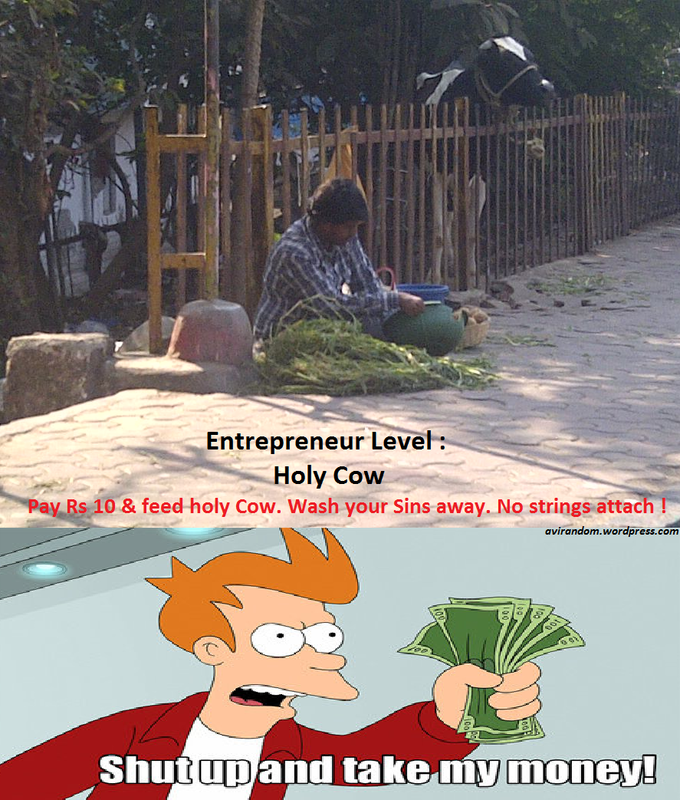 Everyday when I go to work, I see people paying to feed the cow. I find it stupid and that made me do this post. Thank you for your comment. I like your analogy that feeding gives them strength to face the results.